Largely anecdotal evidence has suggested a correlation between this approach and improved productivity and job satisfaction. U.S. business consultant and academic William G Ouchi first publicised this approach in 1981 in a best-selling book entitled 'Theory Z: How American Management Can Meet the Japanese Challenge'. At the time Japanese companies were outperforming their US counterparts and Ouchi argued that the USA could learn from their business and management practices. ... Japanese methods are more suitable for crowded organizational life. Two years later Ouchi published a paper in which he referred to stereotypical US and Japanese companies as Type A and Type J. The characteristics of the Type A company were: heterogeneity, mobility, and individualism with a reliance on market forces or bureaucratic norms to manage staff. By contrast the key features of the Type J company were: homogeneity, stability, collectivism, and a commitment to long-term employment. Ouchi used the term 'Type Z' to describe: IBM, Procter & Gamble, Hewlett-Packard and some other American organisations that had characteristics like those of the Japanese model. He described the relationships within such organisations as resembling those of a clan or tribe with a high state of consistency in their internal culture. He expanded on these themes in his 1981 best-seller (see illustration). In the book, Ouchi described "Theory Z" as an "emerging management philosophy", which allowed organisations to enjoy many of the advantages of both American and Japanese systems. Ouchi argued that Theory Z could bring benefits both in financial performance and in employee satisfaction, motivation, and commitment. He summarised the essence of "Theory Z" as "involved workers are the key to increased productivity." He supported this with five case studies and five company philosophies. One of the case histories concerned the General Motors Final Assembly Plant in Flint, Michigan, which had recently been successfully transformed based on ideas obtained from visiting GM's main dealer in Japan. At the time of the book's publication, the US economy had slipped into recession with high levels of inflation and unemployment. By contrast, the Japanese economy was growing strongly and in 1981 had become the second largest economy in the world. A widely held view in the USA was that "the Japanese know how to manage better than we do". Ouchi acknowledged the contributions of Douglas McGregor (1906-1964) and of Rensis Likert (1903-1981) to his thinking. According to McGregor, a Theory X manager assumes that people are fundamentally lazy, irresponsible, and need constantly to be watched, while a Theory Y manager assumes that people are fundamentally hard-working, responsible, and need only to be supported and encouraged. Refining McGregor's concept, Likert developed a classification of business organisations into four types ranging from "System 1" in which top-down managers distrust workers and vice versa, to "System 4" organisations, in which managers and workers trust one another and cooperate in a participative mode of running the business. In the 1960s Likert had developed a close relationship with past GM president, Ed Cole. Likert was able to show Cole that the participative "System 4" organisations were more profitable and had emotionally healthier employees than the autocratic "System 1" companies. But while Ouchi was happy to bask in a period of national notoriety, as an experienced academic and consultant, he was well aware that his cultural observations represented only small part of what is required to run a successful enterprise. 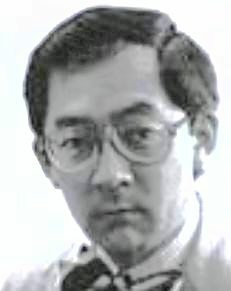 Emphasising this, as Ouchi's best-seller was drawing rave reviews, elsewhere two relatively unknown US academics were publishing a short paper suggesting the inclusion of three additional "Ps" to the traditional 4P marketing mix of Product, Price, Place and Promotion8; the additional 3Ps that Bernard Booms and Mary Jo Bitner suggested were: Process, People and Physical Evidence. Ouchi's Theory Z focuses on people - just one of these 7Ps. And Ouchi avoided the suggestion that his theory was some panacea for all the problems of American companies. For example, he suggests a Type Z organisation runs the risk of being unable to react quickly enough to a major shift in the environment. This is because their emphasis on homogeneity and cultural conformity means the corporate clan may tend to develop a fear of outsiders. Innovators can be seen as deviants whose ideas are therefore rejected by headquarters' decision-makers. Ouchi also suggests that because of the low turnover and resistance to external recruitment in Type Z companies, they can tend to be both sexist and racist, as well as manifesting a lower level of professionalism. In later works Ouchi extended his Theory Z observations to the operation of schools and also the economic and legal systems of the USA and Japan. Just a year after the publication of Ouchi's bestseller, GM chairman Roger Smith, was meeting the president of Toyota to discuss the possibility of a commercial co-operation. He was responding to a significant loss of market share, largely to imported Japanese vehicles, and was anxious to jump on the Japanese smaller vehicle bandwagon, while also learning about their Total Production System. Neither Toyota, nor their production philosophy, rates a mention in Ouchi's Theory Z book. And, of course, it is these ideas with their emphasis on "Just-in-Time (JIT)" or "Lean" systems, rather than Theory Z, which have tended to dominate management thinking over the last forty years. In June 2009, after continued heavy losses, General Motors declared itself bankrupt. GM has survived, courtesy of a $49.5 billion federal bailout, and has gradually returned to profitability. But the plant closures and layoffs have continued. In the Flint area that Ouchi focused on, GM now only employ around 7,000 staff (less than 10% of the 1981 figure). General Motors now no longer features in the world's top 100 companies and has only a quarter of the value of Toyota. But Toyota in turn, only ranks at around 30 in the global list of largest companies. The world's top five companies (2018) Apple, Amazon, Google (in the shape of holding company Alphabet), Microsoft and Facebook; are now all technology-based and are relative newcomers. In 1981 it was three emerging 25-year-old pioneers who would play a large part in our transition to the information age. At the time is unlikely that Ouchi would have known much about Americans, Bill Gates (Microsoft) and Steve Jobs (Apple) or about Briton Tim Berners-Lee (World Wide Web). However, the technological transformation which they helped to introduce, brought an end to the era of long-term employment in large secure manufacturing companies on which Ouchi's Theory Z was largely premised. Nevertheless nearly forty years on, when commercial realities permit, Ouchi's Theory Z with its central themes of consensus, cooperation and respect for traditional values continue to strike a responsive chord. Pascale was five years Ouchi's senior and had previously served as a mechanical engineer, navy reservist and White House staff member. In 1973, Pascale was working on a book called 'Managing the White House - An intimate study of the Presidency' which would eventually be published in 1974. Booms, B. & Bitner, M. J. (1981). Marketing Strategies and Organizational Structures for Service Firms. Marketing of Services, James H. Donnelly and William R. George, eds. Chicago: American Marketing Association, 47-51. McCarthy, Jerome E. (1964). Basic Marketing. A Managerial Approach. Homewood, IL: Irwin.